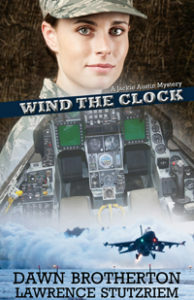 Wind the Clock: Bathed in the beauty of Germany on a storybook assignment, Major Jackie Austin is revered across Spangdahlem Air Base as an officer and leader. The Air Force is looking to promote her ahead of the pack. From the outside, she's got it all, to include a fighter pilot husband, the handsome and popular Stan "Mace" Mason. In truth, things are fraying behind the scenes, as the compromises of a two-career military marriage take their toll. 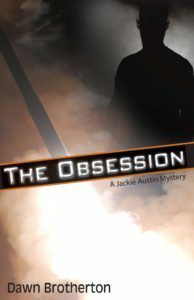 All of it factors into the greatest tragedy Jackie will ever experience, yet she'll have no time to heal. The Air Force Office of Special Investigations' lead investigator Chris Marquette has her locked in his sights. Only Jackie Austin can save herself, even if it means walking straight into a den of terrorists. 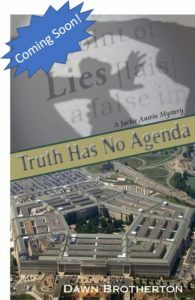 Jackie's adventure started in The Obsession, and continues in Truth Has No Agenda (Coming Soon).